....a voice for quiet waters. Please submit an abstract for consideration. Abstracts should be no more than 3,000 characters or 250 words which ever is less. Redirect: For 2014 Call for Papers, please click here! 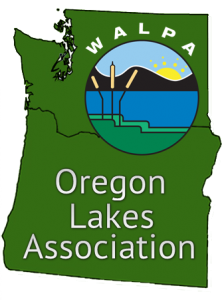 The Oregon Lakes Association (OLA) and the Washington State Lake Protection Association (WALPA) will be holding a joint conference October 16-18, 2013 in Vancouver, WA. Interested in being a presenter, session chair or having a poster? Please submit (aka "Register") your abstract and interest here for consideration! CONFERENCE REGISTRATION: This form is for submitting (aka "Registering") an abstract or poster. Please make your actual registration for the conference through this link. Student discounts apply.